Are you making the most out of your calf training? If you’re like most guys, you probably aren’t. However, we’re pretty sure that you would like to develop a pair of pride-worthy bulging calves which are one of the most important contributors to an impressive well-balanced physique. And vice versa, owning a pair of flat and depressed calves, especially if your quads and hams are huge, can make you feel rather odd and insecure. So, what can you do to unlock the growth potential of these stubborn muscles? Unfortunately, hitting the gym 5 times per week and eating right isn’t enough on its own to give you the results you want. First of all, calves can often be a weak point as a result of genetics, more specifically your genetically determined calf muscle insertion. 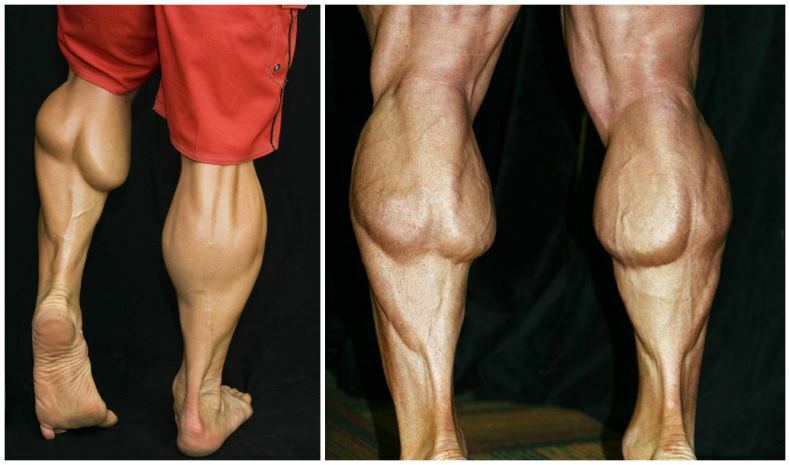 Have you noticed that some people can build great calves with relatively little work? 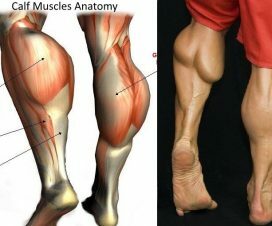 Guys with different muscle insertions can get wildly different results from the same training routine, so knowing your body’s anatomy is a big plus if you want to get more bang for your buck while training the calves. So let’s say that a good calf training must begin with a proper anatomy lesson. The calf muscle begins right below the knee and runs down behind the shin before stopping at a certain higher or lower position. Those with short calf muscles and a longer tendon insertion will have a harder time getting their calves to pop, while the others can reap significant progress in a short amount of time. However, this doesn’t mean that guys with higher muscle insertions can’t build great calves – it just means that you will have to employ certain tactics to maximize the development and get optimal gains. And that journey begins with recognizing possible mistakes you’ve been making so far. Calf training mistakes are pretty common, so don’t worry and read this article to learn how to give your calves the boost they deserve. This is by far the most common mistake people make when targeting their calves. Your calves have a lot of work on their hands all throughout your day – remember, they support your entire bodyweight during all physical activities, 24/7. So if you want to challenge these bad boys to grow, you will have to work with some heavier weight. Failing to do so will prove as insufficient for stimulating hypertrophy and won’t cause significant growth. A good way to start is by performing seated calf raises – this is a highly effective exercises that gives you the opportunity to safely overload the muscles with heavy weight without placing undue stress on your back. We’re not proposing that extremely high volume works best for hypertrophy in every case, but we can guarantee you that by lifting heavy for very few reps you’ll never get where you want to be, given the extended periods of work your calves are subjected to every single day. Your calves are very comfortable with low-intensity work with a short range of motion, so performing calf sessions in that manner won’t push them to grow. So instead of that, give them something they’re not accustomed to and feel free to perform your calf exercises with heavy weight for up to 30 reps per set. That being said, make sure to get a maximum range of motion on each rep and hold each stretch for one second and each contraction for two seconds. After you reach full-rep failure, perform another set of shorter, faster repetitions.